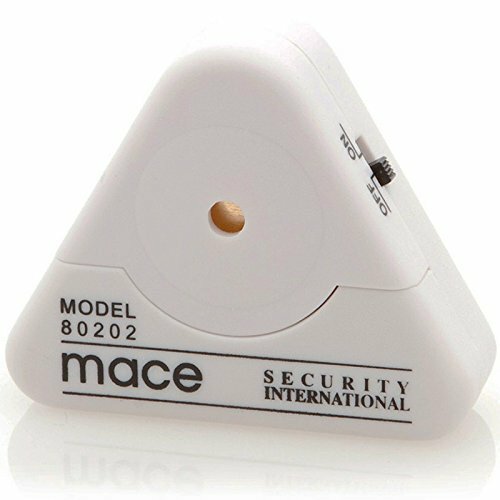 The MaceAlert SOLO Wireless Extension Alarm Siren is an expansion accessory for the MaceAlert SOLO Wireless Alarm System Kit. 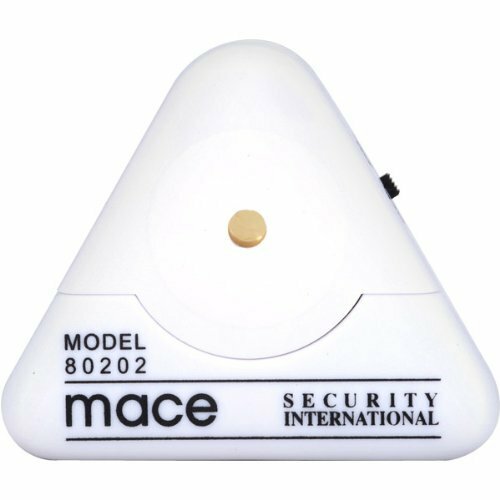 The MaceAlert SOLO Motion Detector Alarm is an all-in-one security alarm for detecting motion in any area. 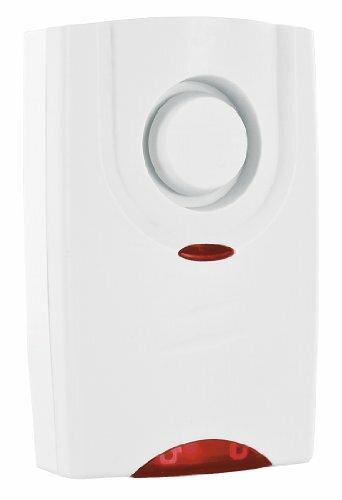 Conveniently arm, disarm and change security alerting between Alarm Siren or Chime Sound modes. 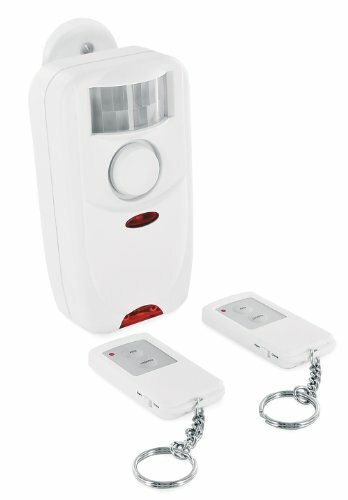 This compact alarm unit is fully battery operated and comes with 2 keychain remotes, a pivoting wall-mount bracket and mounting hardware for a quick and easy wireless installation. Features: Mace? 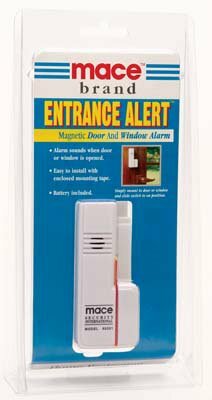 Window Alert is a 95 decibel glass breakage alarm that attaches to windows and set off by vibrations if someone tries to break through. 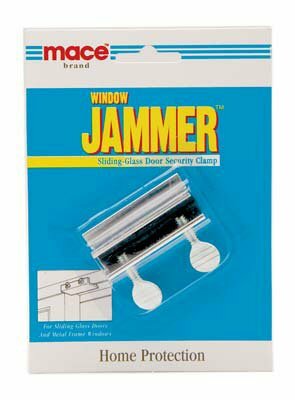 Installs easily on any window. Solid, state-of-the-art design. Battery included. 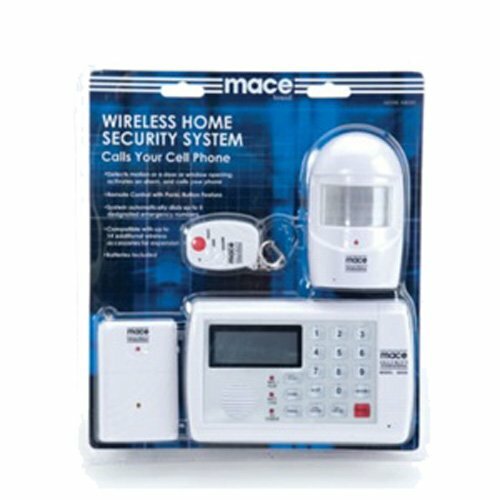 The Mace Wireless Home Security System is a complete do-it-yourself burglar alarm system with a buit-in auto dialer, you can easily install and self-monitor for protection while at home or away. 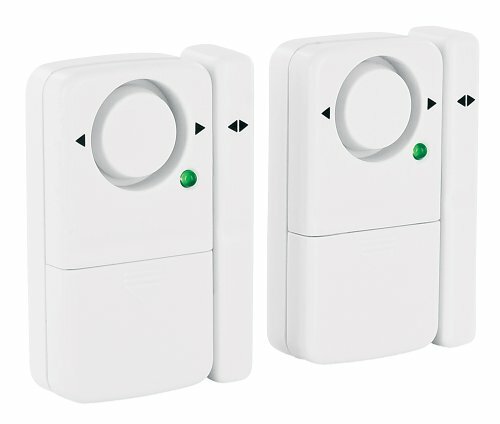 If an intruder is detected the local 105dB alarm siren activates and the system will call up to 5 pre-programmed emergency contact phone numbers to deliver your pre-recorded alarm message, allowing one to remotely listen-in and broadcast a voice warning to the intruder, or disarm and reset the system remotely. 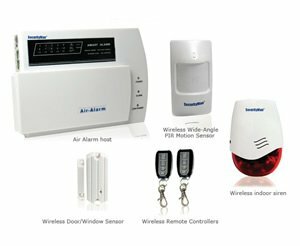 An ideal starter system for homes, apartments, condos, and even dorm rooms... the 80355 system kit consists of a main control unit plus a wireless door window sensor, a wireless motion detector, and a convenient remote control with an instant panic alarm button. The system has up to 300ft range for wireless sensor coverage and is completely expandable with up to 14 additional wireless sensors and 7 remote controls. 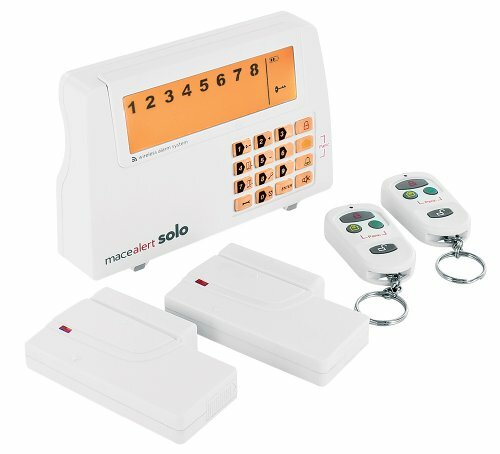 Keypad programmable features include entry delay time, silent alarm operation, auto call list cycling, and alarm history retreival to name just a few. The system can function completely on it's own for local alerting and requires only a standard telephone line with tone dialing for remote monitoring with the added benefit of easily sharing your home's exisiting telephone line without additional fees or service contracts. The main control unit can be wall mounted or conveniently set on a table top next to any phone in your home for quick and easy installation. 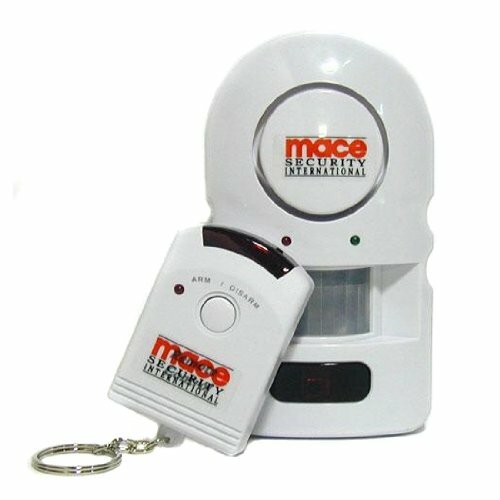 Home Security - Mace Wireless Security System. How it Works: 1. 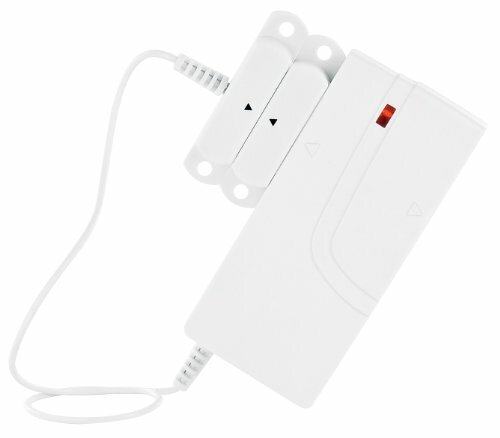 When the door/window sensor or motion detector is triggered, it sounds an alarm and sends a signal to the base unit. 2. The base unit dials the first telephone number of your programmed list. 3. The person answering the call will hear a prerecorded alert message. 4. That person will have the option to listen in on the room, broadcast their voice through the base unit, or disarm the system. 5. If there is no answer, or if the person doesn't disarm the system, it will dial the next number on your programmed list. 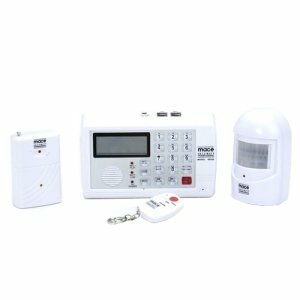 Includes 1 base unit with AC adaptor, 1 Window/door sensor (wireless transmission up to 250 feet), 1 motion detector (range up to 8 yards) and 1 remote control with panic feature for arming and disarming the unit. 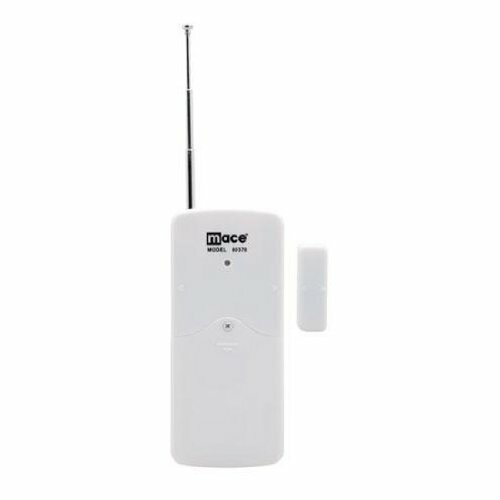 The MaceAlert Solo wireless alarm system provides simple security alerting for your home or office without complicated wiring, phone lines or monitoring service. This system gives you the freedom of easily installing wireless security sensors for protection of vulnerable areas. 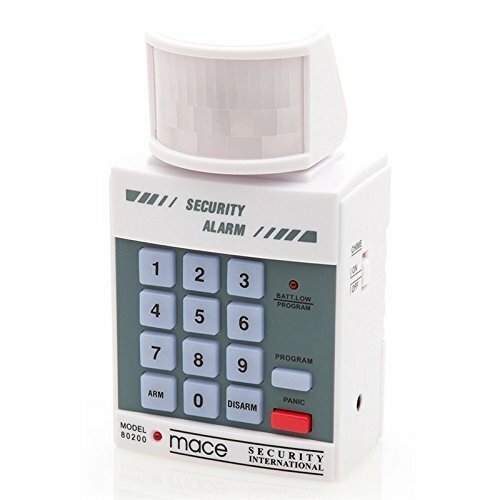 When the MaceAlert Solo wireless alarm panel detects a security breach, it's tri-color LCD display and loud 120dB+ alarm siren are triggered for immediate deterrence. 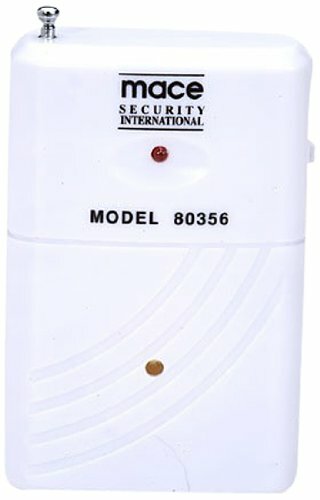 MACE 80350 Remote Alarm System is an easy to install alarm with an adjustable passive infrared sensor head that detects movement within a 110 degree radius up to 32 feet (10 meters) away. Remote key fob with arm/disarm and panic button feature. Operates with 9 volt battery or AC adapter, not included. Dimensions: 4.75\" h x 2.75\" w x 2\" d.